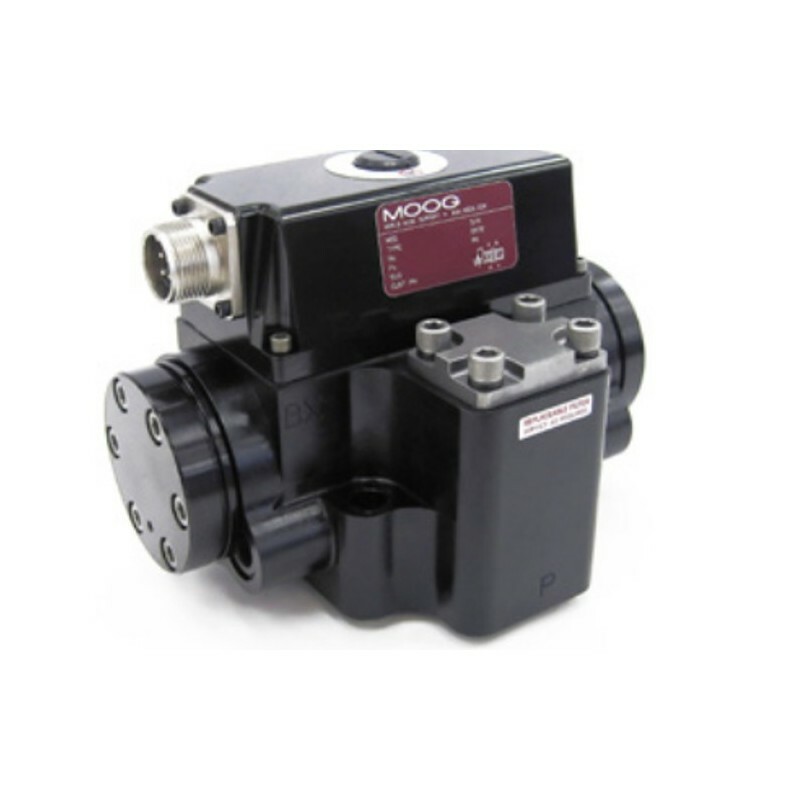 The 72 Series flow control servo valves are throttle valves for 3 and preferably 4-way applications. They are a high performance, 2-stage design that covers the range of rated flows from 95 to 225 l/min (25 to 60 gpm) at 35 bar (500 psi) valve pressure drop per spool land. The output stage is a closed center, four-way sliding spool. 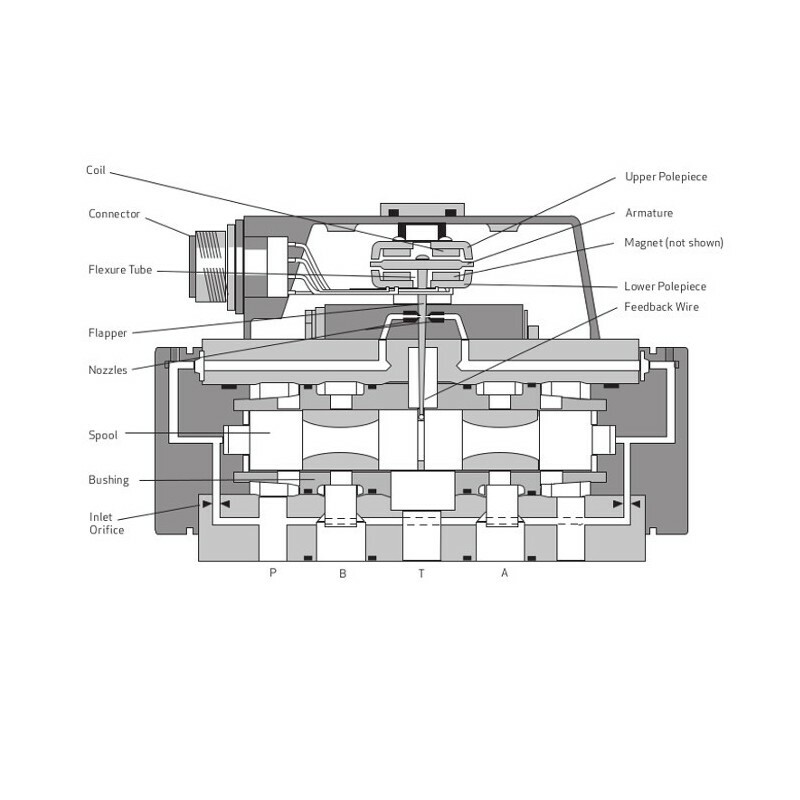 The pilot stage is a symmetrical double-nozzle and flapper, driven by a double air gap, dry torque motor. Mechanical feedback of spool position is provided by a cantilever spring. The valve design is simple and rugged for dependable, long life operation. These valves are suitable for electrohydraulic position, speed, pressure or force control systems with high dynamic response requirements. The 72 Series is ideally suited for applications in the 95 to 225 l/min (25 to 60 gpm) when superior dynamics are a must. Intrinsically safe valve versions are available for use in applications with potentially hazardous environments. Specific models are certified to FM, ATEX, CSA, TIIS and IECEx standards. The 72 Series is part of Moog’s family of Mechanical Feedback Servo Valves. This is proven technology that performs reliably in machines where high performance, stability and accuracy are required. 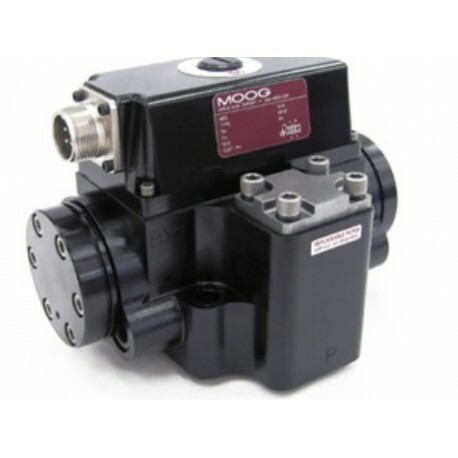 Moog’s Mechanical Feedback Valves are designed to provide high reliability and long service life. External null bias adjustment: Enables technicians to manually adjust the null bias of the valve to adapt to the conditions of the machine. This feature provides a simple adjustment to machine performance without the need to adjust a controller.